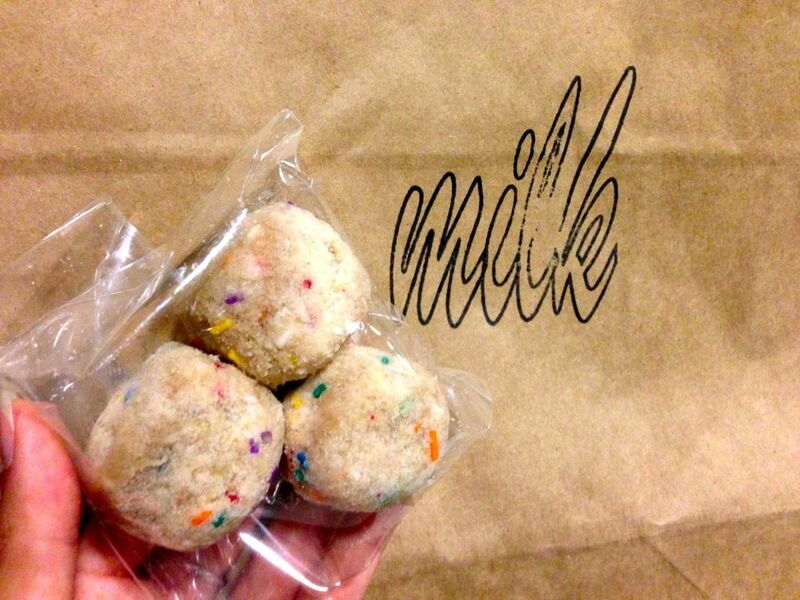 Momofuku Milk Bar is the sweet dessert sister of David Chang’s Momofuku restaurant group. 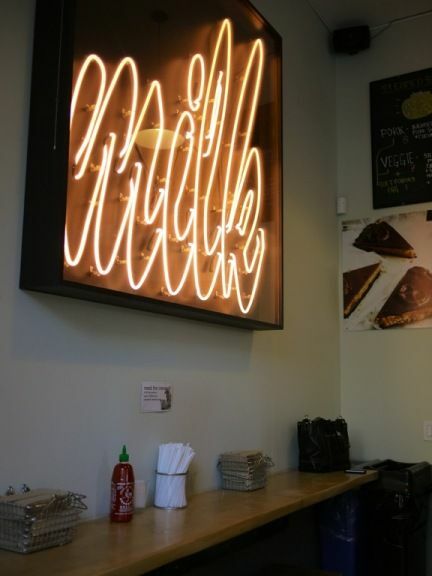 Founded and owned by Christina Tosi, the queen of all things sweet and lovely, Milk has been coined one of the most exciting bakeries in the US of A. The desserts are not fancy schmancy but they resonate with everyone from young to old. It is no secret that Christina has a major sweet tooth but the secret lies in her eye for little details and knowing what exactly warms the heart and tummy. 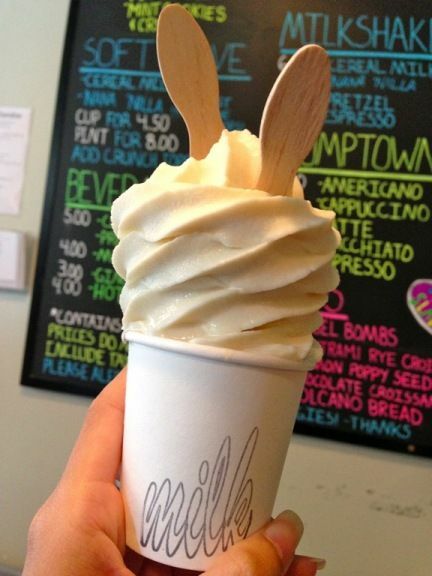 Anyone who have tried her Cereal Milk™ Soft Serve (US$4.50) would agree wholeheartedly. I wouldn't even bother going for the other flavors. It is easy to place the taste if you grew up on milk and cereal. The flavor is the essence of the all that cornflakes frosting with bits of honey oat clusters and other crunchy bits at the very end of your cereal breakfast. I'm amazed at how she could replicate all that different dimensions in one smooth, milky and a little icy soft serve. It comes 'bottomed' with cornflakes in the cup and you can add more crunch for a little more. 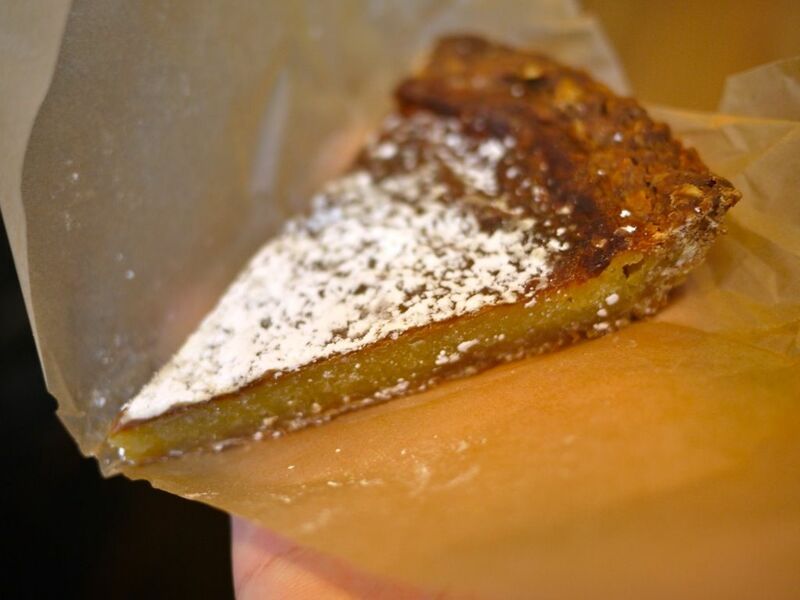 The Crack Pie® is as addictive as crack. Perhaps even more. But it's real good stuff. It's sticky and chewy, sweet and salty caramel-ly in the middle, with some maltiness as well. The crust is a nice blend of oats and buttery graham which is my absolute favorite kind of pie base. Get a slice for $5.25. Heck. Get the whole pie ($44). I did. And it is still not enough. Yea.. that addictive. Was told to try the Cake Truffles (3pcs for $4). These ping pong sized balls are essentially cookie dough. I'm not much of a fan of the Birthday Truffles (shown above), they tasted artificial in some ways. The chocolate malt ones were alright too. I guess i'm not a fan of cookie dough. 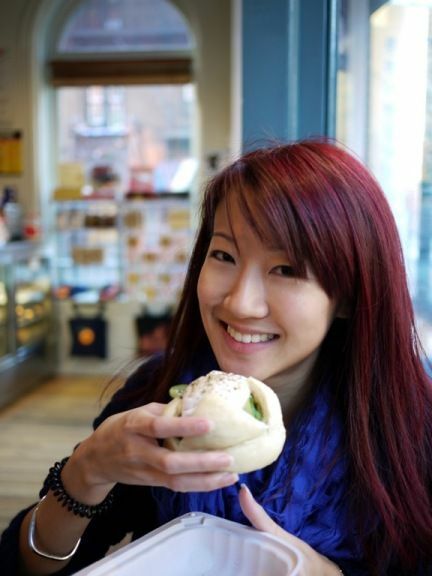 If you can't make time for the queues at Momofuku but wanna have a taste of their famous Pork buns , you can get them here at Momofuku Milk bar. Each costs $8 but they are bigger than the individual portions at the store. The texture of the bun is more ciabatta like and this is the pulled pork version. 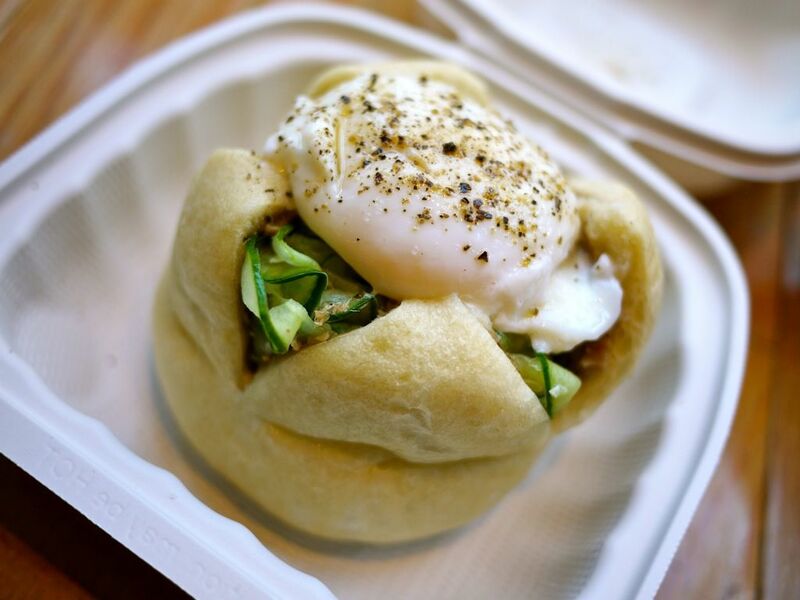 I topped it with a wonderfully slow poached egg for a buck. Absolutely delicious. The blur me thought the pork bun was different from the ones served at the main Momofuku chain because it looked different. Ordered it again at Momofuku Ssam Bar just to make sure. The taste is the same but the texture is just a little different. Another must try in NYC. I LOVE MILK!